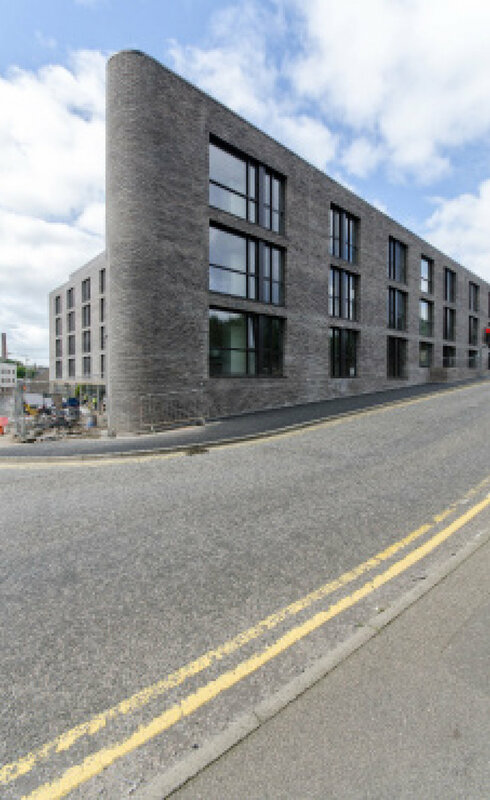 The proposal accommodates 196 student rooms with associated common, staff, and ancillary areas, all arranged around a central landscaped courtyard with car parking beneath. The building occupies a prominent urban block on one of the main approaches into Aberdeen. A bold, muscular form rendered in good quality materials defends the central courtyard from this busy urban world beyond. The building comprises 6 storeys, the top two of which set back to create landscaped terraces and a diminishing scale to the quieter residential neighbourhood at the rear.